Day six of the annual list of my favorite stuff of the year gets to one of those experiences that is far more than the sum of it parts. 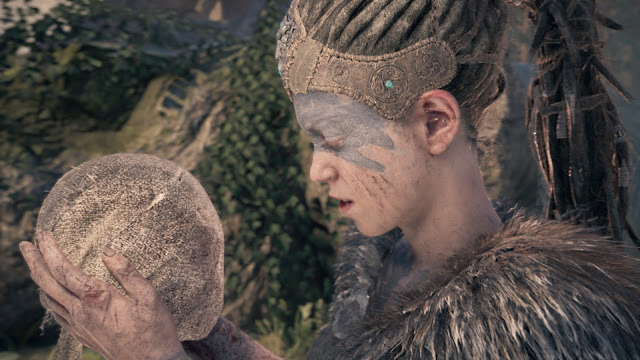 Hellblade: Senua's Sacrifice initially looks like it might just be another combat game in the tradition of Dark Souls, but you quickly realize that all is not what it seems. The game is a dark fantasy psychological horror action-adventure video game, designed, developed, and published by Ninja Theory, the studio behind one of favorite underrated games of all time in Enslaved. 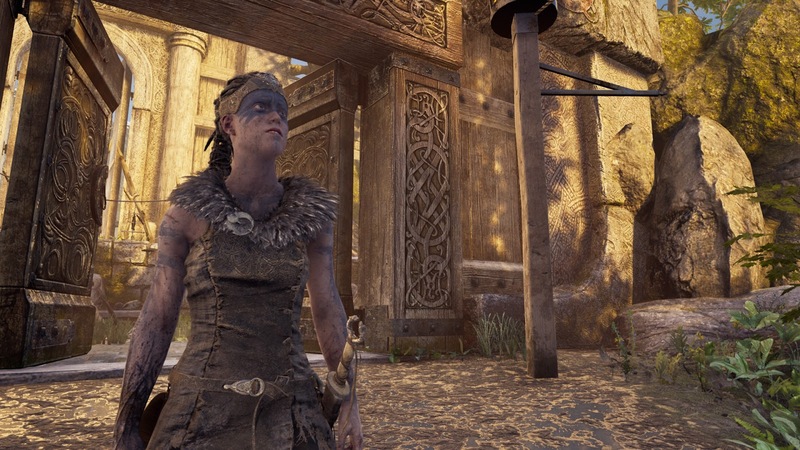 On the surface I was always going to be interested given the game takes it story cues from Norse mythology with a side order of Celtic iconography. The central character is Senua, played brilliantly by Ninja Theories own Melina Juergens, a warrior fighting her way through Helheim and battling demons. While there is the framework and mechanics of a traditional game here, everything else, from the superb central performance, through the sound and music design to the VFX and art, combines to create a unique and interesting experience that defies normal categorization. Every facet of this game is designed to put you in the troubled mind of the protagonist. This is a game not just about mental illness, but one that tries to put you inside a troubled mental state. That might sound problematic, but here it is a cohesive experience that never condescends or feels like it is exploiting it's underlying subject matter. It isn't just it's gimmick either though. There is enough game on display, some combat here and there as you battle demons, and some environmental puzzling as you delve deeper into madness. This is not just a walking simulator hanging on an exceptional central performance. It isn't an experience for everyone, but it is one with an impact, and one that demonstrates what else games can be. I'm always excited to explore unique experiences like this one.